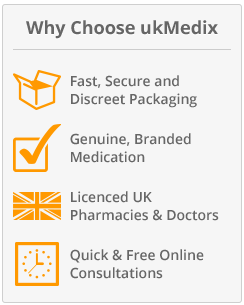 At UKMedix we provide genuine and quality prescription medications to deal with various conditions from trusted pharmaceutical brands known and respected around the world. As a result we're very proud of providing the best medication to our customers with a clean bill of health, tested and tried for efficacy. UKMedix offers Champix, a genuine medication from Pfizer and not a generic substitute of any kind. We don't stop there like many websites on the web but get you the quality medical help and advice you need to effectively quit smoking while using Champix. We've web consultation forms that get us all the answers and information we need for our team of medical professionals to understand about the seriousness of your smoking habit and willingness to use Champix to quit. As a result, all the advice you need to quit and prescriptions will be provided with a lot of confidence, privacy and understanding. Remember our medical doctors are always on standby to help. Contact them today for free without obligation and start your journey of recovery from the addictive habit of smoking. 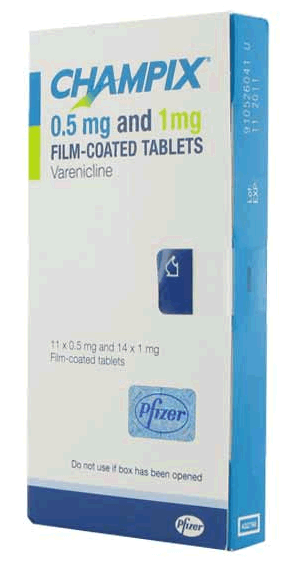 Champix is the brand name for Varenicline tartrate indicated for the cessation of smoking in adults. Clinical trials of the medication have demonstrated its ability to double the chances of quitting the smoking habit particularly if compared to those who go cold turkey or unassisted quitting. It's considered by doctors across the world and also in UKMedix as a great addition to any smoking quitting plan. As you begin smoking tobacco the effect of nicotine is released binds to the α2β2 acetylcholine, a brain receptor. As a result the binding effect works fast and intensely to stimulate the reward pathway of the brain. By introducing Champix into the mix, α4β2 acetylcholine is bound by Champix and only ensures the reward pathway is partially activated. Binding the receptor with nicotine the brain is hit directly but with Champix the real hit is absent and Champix goes a step further to block the nicotine from working by binding it. The result is that the gratification derived from smoking is highly reduced. Champix treatment begins with a small dose while a person is still smoking. Doctors recommend that the smoke quitting date be selected between the initial and second week of starting Champix treatment. A main reason for this is that Champix doesn't work straightway and requires around a week to start taking effect as much as this varies from one individual to the other. A couple of days later after using the quit smoking treatment the smoking desire will start decreasing. Note that not every individual on Champix notices a positive effect. Champix has been found to work better if combined with professional advice and help, especially smoking cessation strategies such as routine and habit changes. Without the resolve to stop smoking this medication cannot help you quit by itself. The urge to smoke or craving can still remain even with the use of Champix. One of the reasons for this is due to nicotine withdrawal or being in those situations or locations where you always smoke. Essentially, some of the things that could trigger cravings include being around the areas you generally smoke like the bar, work, smoking zone or home. Being alone or around individuals you normally smoke with can give you a craving or essentially attempting routines and habits that threw you into a smoking frenzy such as taking alcohol, drinking coffees, relaxing, after enjoying a meal or even being out there in the open. Cravings for a cigarette can also be brought about by various emotions such as being upset or tense, boredom, happy or angry. Champix dosing begins one or two weeks before the set quit smoking date. Between the first and third day the individual should take 0.5mg of Champix once everyday and 0.5mg twice everyday on the fourth to the seventh day. On the eighth day, the day the treatment should end the individual should take 1mg of Champix twice during the day, perhaps morning and evening. Champix treatment should go for 12 weeks. After successfully terminating the smoking habit once the 12 weeks are over, doctors could advice an extra 12-week Champix treatment of 1mg twice everyday to maintain the abstinence. Swallow Champix tablets whole with a glass of clean drinking water or take the medication without or with food. In case you are always nauseous you might want to take the medication with food. If you're able to stop smoking before the initial 12 weeks are over don't stop the treatment until you're through. As you take Champix you might want to avoid nicotine replacement products. Should You Buy Champix Online? UKMedix offers a fast and reliable service boosted by a team of qualified doctors with lots of experience accessible online. 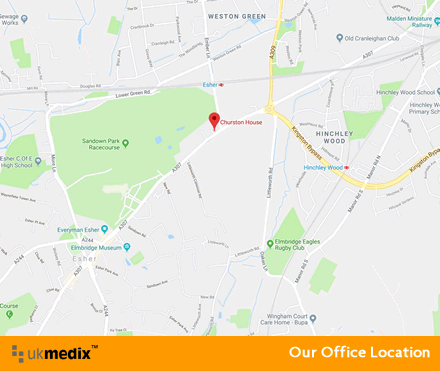 We understand you would like to access medication from wherever you're in the UK. We've created a system where you can contact us immediately wherever you're online for free medical advice and consultation without obligation. UKMedix is approved and licensed to sell diverse medication including Champix. See our MHRA approval badge that takes you right into our certified details and other particulars in the MHRA governmental site. Avoid purchasing Champix and other medication from illegal or questionable sites without clear certification and approval information from governmental bodies. The health risks associated with that are way too dire and could mortally affect you. Does Champix Have Side Effects? The side effects are mostly very mild and occur mostly during the first week of Champix treatment. At UKMedix we understand how the cessation of smoking is important. Finding reliable information on this important subject and medication is always expensive or too hard but we've made this very easy for you. Just contact our team of doctors for additional information on Champix and have all your questions answered free and without obligation. You don't have to purchase Champix or any medication offered at UKMedix just because you've received free advice and consultation.